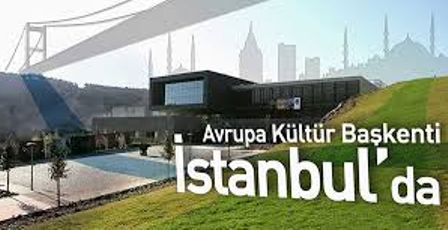 Analog & RF Labs ofÖzye?in University in ?stanbul is actively looking for qualified researchers in the broad field of microelectronic technologiesranging from integrated circuit design to smart systems. The candidates are offered competitive scholarships and salariesin addition to on-campus accommodation and other complementary benefits. Özye?inUniversity is a young, research oriented university with highly motivated and experienced academic staff graduated from reputable universities around the world. Analog and RF Research Labs of Özye?in University is a recently established international microelectronics research lab with skilled graduate students from distinct countries. Awards: RA-ship, TA-ship or the both. Amount of scholarship would vary based on the background and experience of the candidate. Analog/RF/Microwave/Mixed-Signal IC Design: RF/Transceiver Chipsets, Sensor Interface ICs, High-Speed ADCs and DACs, Power Amplifiers, Precision Audio and Power Management Chipsets, PLLs, Precision Delta-Sigma ADCs and DACs, Class-D Drivers, SERDES, Optical Transceiver Front-Ends, Bio-Chips. Smart Electronic Systems: Wearables, IoT, Bio-Electronics, Optical Sensors and Interface Circuits, Sensor Interfaces and Read-out Circuits, Smart IOS/Android Mobile+Server Applications and Algorithms. RF/Microwave Front-Ends: Smart Antennas, Phased-Array Systems, Beam Forming, Power Combining Front-Ends. Now that all the information about Ozyegin University Scholarship for International Students has been delivered nicely; talented students who are eager to pursue their Shell Free Tuition/Scholarships/Study in Turkey for Undergraduate, Bachelors, Postgraduate, Masters, PhD, Associate Degree and Other Degrees, can apply now. Sponsor: Turkey Govermnent and NGOs.